F/O S H Hayter (P) Surv. Both A/Gs, Sgts Sheridan and McVey, were the regular gunners with the F/O Tapsell crew. See also the memorial pages at: Lancaster NF963 near Ellingstring, Masham. 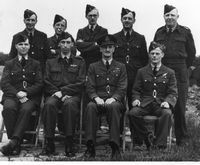 Front row: L-to-R: ?, P/O Hayter (P), F/Lt Waitt (Adjutant) ?, ? Thanks to Ian Phillips (nephew of Arthur Pearce) for the following photograph. 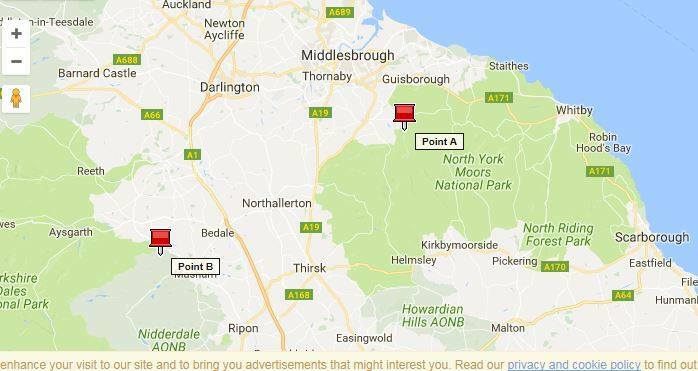 A number of Lincolnshire-based aircraft that crashed anywhere in the general area of the north end of North Yorkshire all get recorded on their ORBs as being "near Leeming". Richard has put a lot of this information online at: Lancaster NF963 near Ellingstring, Masham. "... the pilot was found near the wreckage of NF963. 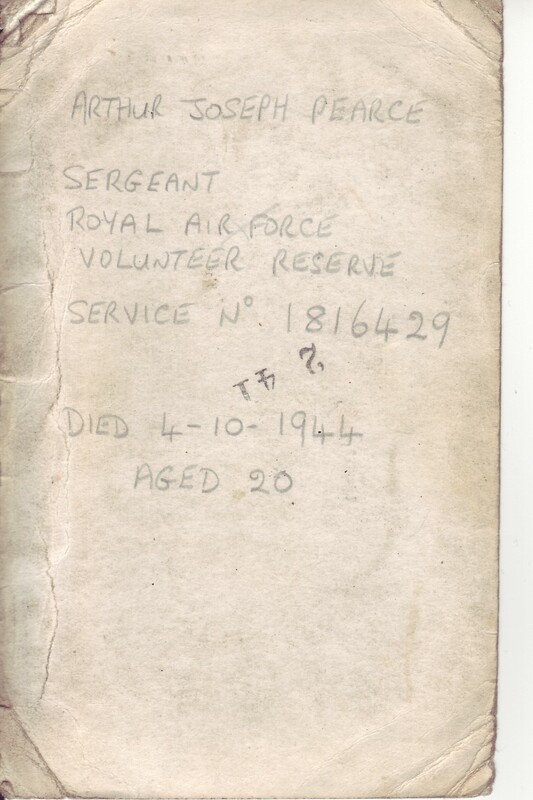 I have a copy of a letter sent by a local fireman to Stan Hayter the pilot. This man attended the crash site. He says that when they arrived they found 6 dead aircrew, 3 were by the burning plane and the other 3 were nearby. While they were standing there they then heard someone calling out. 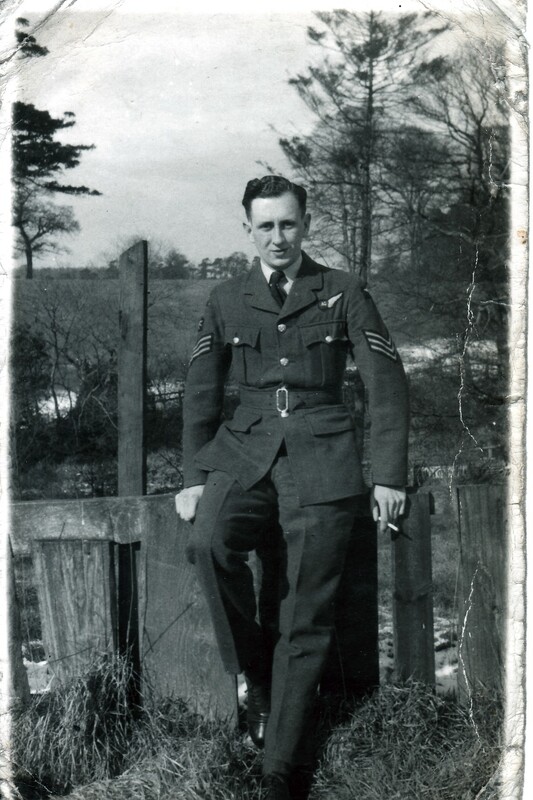 It was Stan Hayter the pilot who was over by some trees. Simon Hayter has this letter and a diagram of the crash site showing the position of the different parts of the plane, etc. The letter records that the pilot was found about 100 yards from the aircraft. 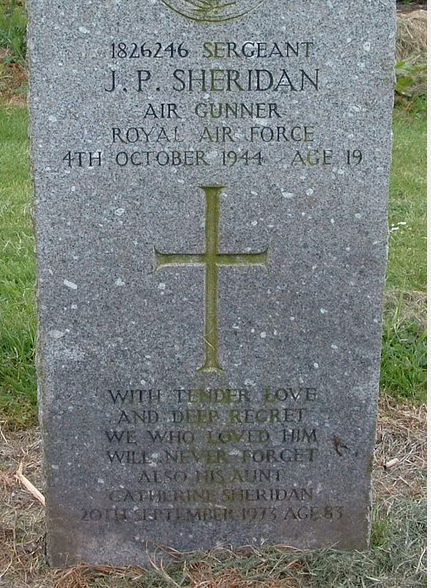 For information and photographs (recently received) about Jack Sheridan see the F/O Tapsell crew web-page (as that was his regular crew).